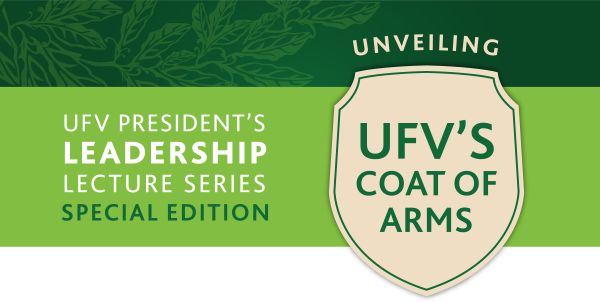 Join UFV President Mark Evered and UFV Chancellor Dr. Gwen Point as they host Manon Labelle of the Canadian Heraldic Authority in the official unveiling of UFV’s newly minted coat of arms. 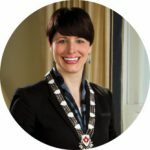 Ms. Labelle, who creates coats of arms, flags, and badges for Canadian citizens and institutions, will discuss the UFV Coat of Arms and use of heraldic symbols in Canada. The natural symbols and their significance to the Stó:lō people and the Fraser Valley will be discussed by Dr. Gwen Point.